celebrating! I am celebrating not only reaching 20,000 followers, but now over 25,000 followers! 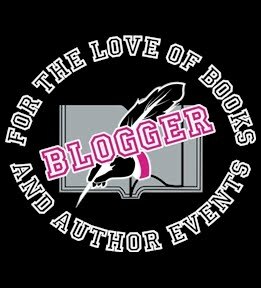 I've teamed up with a bunch of authors, crafters, bloggers and more and together we're bringing you this awesome event! Squeeee!!!! ... Oh yes, it has a hashtag! and tell you who the fabulous sponsors of this giveaway are. Okay so I have NINE top prize packs, all details are listed below. In addition to those nine top prize packs, there are an additional 43 ebooks which I need to give away to runners up. The ebooks will be ONE PER PERSON. 3. 1 set of the first four signed paperbacks of The Reaper Series. One ebook per winner - 43 WINNERS! Each time you put up a blog post about the #Fae20kGiveaway, enter its link into THIS FORM to be entered to win the prizes below. AND 10 x FaeBooks.co.uk 2015 bookmarks - one for yourself and nine to use in giveaways on your blog! Runners Up: 5 Runners Up will each get 2 FaeBooks.co.uk 2015 bookmarks. One for yourself and one to give away on your blog. Only those legally allowed to may enter. Under 18's must have permission from a parent or guardian to enter. Any found to be entering false information, commonly known as cheating, will have their details logged and be banned from winning a prize in this or any other giveaways managed by FaeBooks.co.uk or Sarah Fae indefinitely. Repeat offenders may have their details passed on to other giveaway coordinators/bloggers to enable them to continue ensuring their events remain to be fair also. By entering this giveaway you agree FaeBooks.co.uk may contact you to A) announce winners and B) email from time to time about giveaways, events & other interesting things that are going on at FaeBooks.co.uk and in the book industry/community. If at any point you wish to unsubscribe from this service you can do so at the bottom of the email by clicking "unsubscribe". This giveaway is monitored and managed by FaeBooks.co.uk. FaeBooks.co.uk is not responsible for all of the prizes, only those specifically donated by FaeBooks.co.uk. Winners will be chosen randomly by the Rafflecopter platform, as always. By entering this giveaway you agree to all of these terms. bloggers, authors and crafters who have donated kindly to the event.